Ever heard the story of the discovery of the first chocolate chip cookie? Ruth Graves Wakefield is considered to be the mother of the chocolate chip cookie. When I began looking into the history of the chocolate chip cookie, I thought it would be an easy history to find considering it is a product of the 2oth century, a time period when documentation should be more reliable. However, how this cookie came to be is definitely a matter of debate. Some say Ms. Wakefield created the recipe while experimenting with a recipe for Butter Drop do. cookies. I've read that this recipe is a "Colonial" recipe, and I've also read that it dates to 1796. Another source says she based her recipe on an old sugar cookie recipe, not a butter cookie recipe at all. It is possible she adapted an old recipe she liked and added the chocolate to make the cookies more modern and unique; but I'd like to see the original recipe to judge it for myself. You see, the recipe name "Butter Drop do" is incomplete. Let me explain . . .when the word "do" is in a recipe, it was a pre-modern way of writing "ditto." For example, in a recipe the ingredients might be listed as 1 pound flour, 1/2 do sugar (meaning 1/2 pound sugar). As for a recipe title, there might be a recipe for Apple Pie followed by a recipe for Peach Pie (but it could be written as "Peach do"). Therefore, "Butter Drop do" in and of itself is an incomplete title; we need to know what came before it to know what should be placed in the word for "do." Oh, and there was no culinary baking soda in the colonial days, nor were they accustomed to eating chocolate in a candy form in those days--key ingredients in Toll House Chocolate Chips. Another story has Ms. Graves substituting Nestle's chocolate for Baker's Chocolate in her cookie recipe. According to this story, she would put chopped Baker's brand chocolate into her dough and it would melt while cooking thus permeating the cookie dough evenly with chocolate. However, when she used Nestle's Chocolate instead the chocolate "chips" stayed intact during the baking process yielding a new type of chocolate cookie. This theory is wrong because neither chocolate would have melted in such a way as to permeate the dough enough to make it evenly chocolate in flavor and appearance; as an experienced cook, Ms. Graves would have known that fact. Another story claims that the Nestle chocolate bars fell into her dough and were broken up into chips by the electric mixer. Wouldn't this batch have been ruined because the chocolate paper wrappers would have also been chopped up into the dough? Also, couldn't she have turned off the mixer and removed the chocolate bars? The date of the invention of the cookies is also debatable. Some sources claim she invented it in 1930 and published it in the 1936 edition of her cookbook. Other sources say it was invented in 1936 and first printed in the cookbook in 1938. Others say it first entered her cookbook in 1940. I'm still looking into figuring out this one . . . you'd think this would be easy to document! Oh, and the Toll House Inn was allegedly never a toll house. In addition, I've seen dates of its construction as early as the early 1700s but other sources date it to the very late 1800s. Yikes, this just keeps getting harder and harder to figure out! What is the likely story? What is known for sure is that nobody really knows the true story. According to an interview Ms. Wakefield gave to the Boston Herald-American in 1974, she is quoted as saying, “We had been serving a thin butterscotch nut cookie with ice cream. Everybody seemed to love it, but I was trying to give them something different." Therefore, Ms. Wakefield, an inn owner/operator and experienced cook, was looking for new recipes and experimented until she found a good one. And, boy did she find a good one? As far as dating the recipe, I haven't been able to locate an edition of her book Toll House Tried and True Recipes that dates to earlier than 1941. I am still looking for earlier editions, so let me know if you find one! 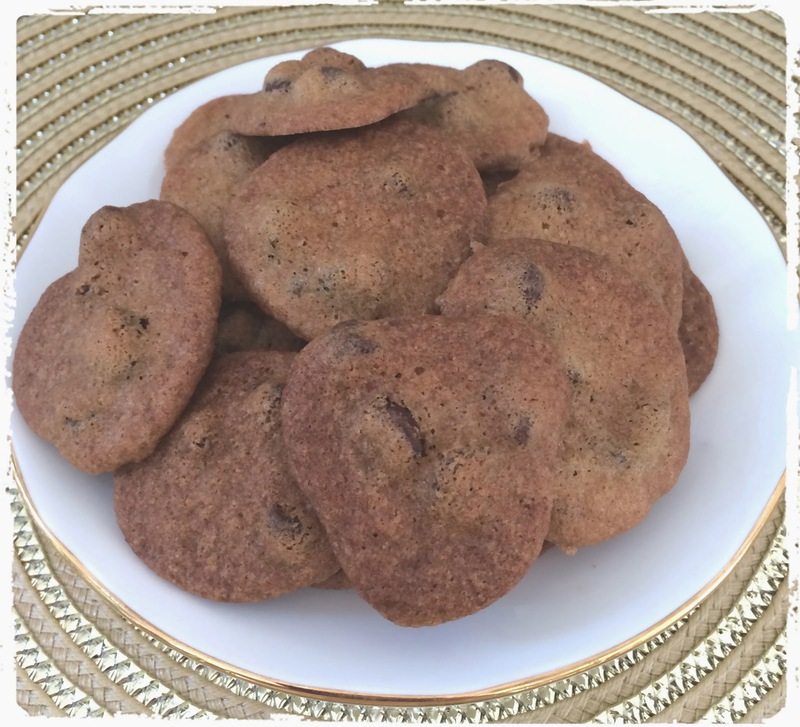 The 1941 recipe makes 100 cookies (only 1/2 teaspoon of dough is used per cookie). They are baked for 10-12 minutes which means they come out quite crispy, hence the "crunch" in the original name! 1 tsp. vanilla and drop half teaspoons on a greased cookie sheet. Bake 10 to 12 minutes in 375º oven.